Which Route to Your Wealth? No matter which path you choose toward your destination, Penn Wealth can help you get there. When it comes to wealth management, successful individuals rely on experts to help them achieve their financial goals. While they are busy pursuing the passion that feeds their investment accounts, professional money managers are acting with due diligence to make those accounts grow in value, based on the client's unique risk tolerance, desires, and needs. 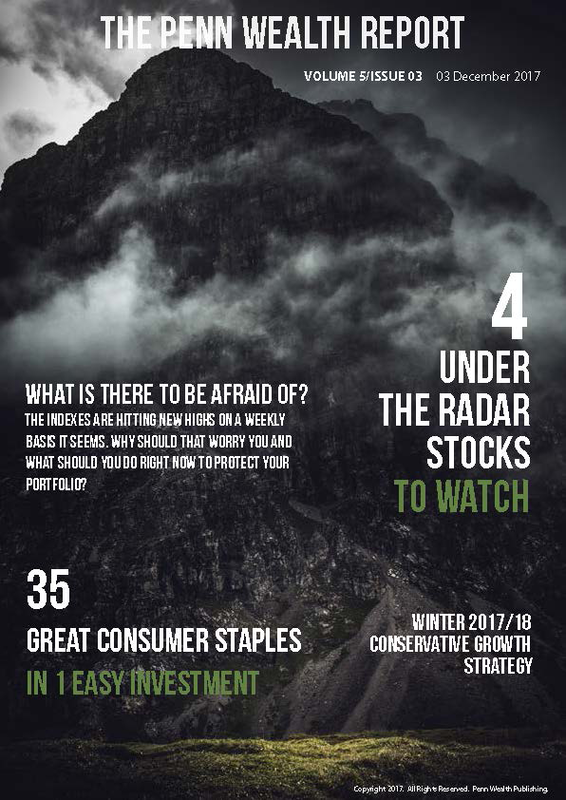 We warned of the risks on the horizon for 2018, and we gave our Members actionable advice on how to protect their portfolios. 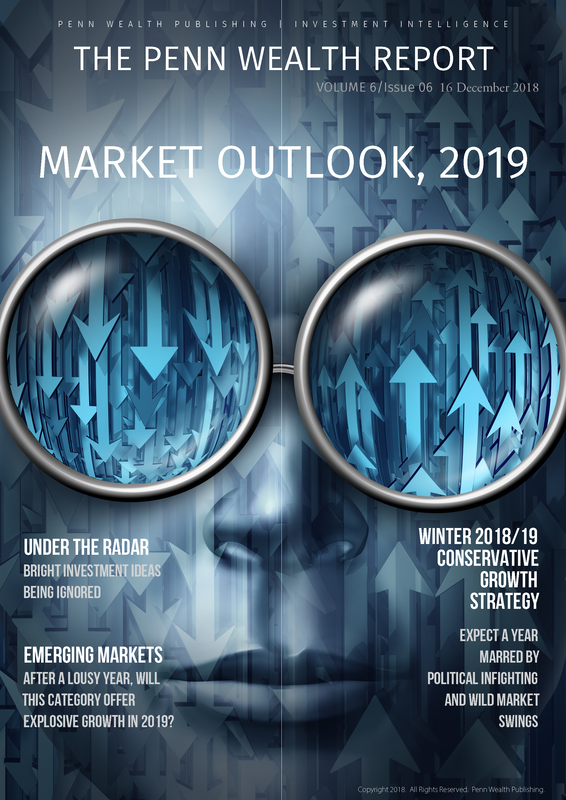 Now, we have released our "2019 Outlook" issue of the Report, outlining all of the risks and opportunities we see for the year ahead. Simply become a Member, then go to your Hub and begin reading the issue. Additionally, you will have access to our Trading Desk—you will see our actual trades as they take place—and other private "Members-Only" pages. Now, more than ever, is the time to take action. For over twenty years, Penn's wealth managers have helped clients navigate through all market conditions. We were there between March of 2000 and October of 2002, when the Nasdaq lost 78% of its value. We were there in August of 2007 when the world's financial engines began to seize up, and we were there in March of 2009, when the S&P 500 had plunged 56% and investors were once again throwing in the towel—at the precise wrong time. Greed permeated the markets in early 2000. We remember one prospective client who asked us, "What's its make a year? Everything worth anything goes up at least 25% each year." We remember another whose company retirement plan we reviewed, only to discover he had 82% of his retirement assets in some form of company stock. His response was, "If you can't believe in your company, what can you believe in?" He worked for a telecom company called Lucent. The year was 1998. We lived through it. We invested clients' money through it. We understand how to manage risk. And we understand that the risk-induced actions of some are the foundation of great opportunities for others. Penn Wealth Publishing began as a compilation of all the investment research done for our clients and to maintain the Penn Wealth Strategies. A "behind-the-scenes" look, if you will, at the information we use to make investment decisions. We began publishing a recap of our weekly research on a dedicated website, Penneconomics.com. Go ahead, take a look! As technology began to put unprecedented power at the fingertips of the individual investor, we wanted to find a way to package the overwhelming amount of information and data available into an entertaining and useful format for clients. Thus, the ​Penn Wealth Report was born. The Report became so popular that we began receiving requests from friends and family members of clients for access. To make this publication, along with a number of other benefits, available to non-clients, we formed Penn Wealth Publishing, LLC. For a small fee, members can access back issues of the Report, in addition to log-in access to a number of private site pages, to include: The Trading Desk (a real-time look at the trades we are making, as well as upgrades/downgrades), The Penn Portfolios (access to all of the investments we currently hold), Under the Radar (a great place to find hidden gems), and more! Technology has given the average American extraordinary leverage. The individual now has power once reserved for the wealthiest few in this country. But the overwhelming amount of data at our fingertips is useless unless we can make sense of it. It is the mission of Penn Wealth Publishing to filter all of the data available into an extremely useful and entertaining package for our valued members. 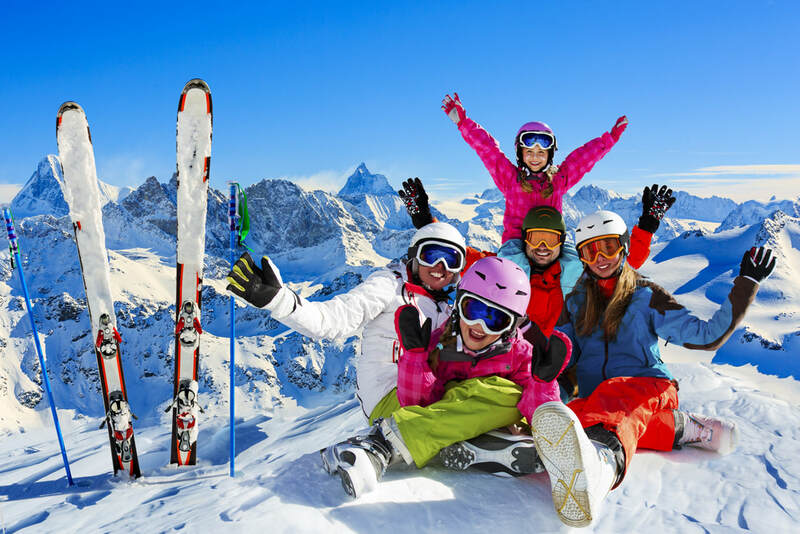 Let us help you achieve your grand goals and objectives--become a member today! ​Until further notice, all subscribing members of The Penn Wealth Report will also be given access to their own financial website, which will remain valid as long as their membership remains active. This dynamic tool alone is worth more than the price of membership. Consider this site the headquarters for your wealth-building plans and actions—a gauge showing precisely where you are on your journey. In addition to gaining entry via an app on your smartphone, you can also log-in on the Penn Wealth Publishing home page by selecting "Enter Here" in the purple tile near the top of the page. All Penn Wealth Management clients have this tool available as well, with quarterly portfolio reviews and annual strategic plans maintained in the "Investment" section of their online "Vault." Note: Penn Wealth Publishing, LLC is a separate entity from our registered investment advisory service, and the investment discussions are not a solicitation to buy or sell any investment. Always consult with your personal investment advisor before investing to assure the position is appropriate based on your risk tolerance and your current portfolio. What is Your Personal Risk Number?.. 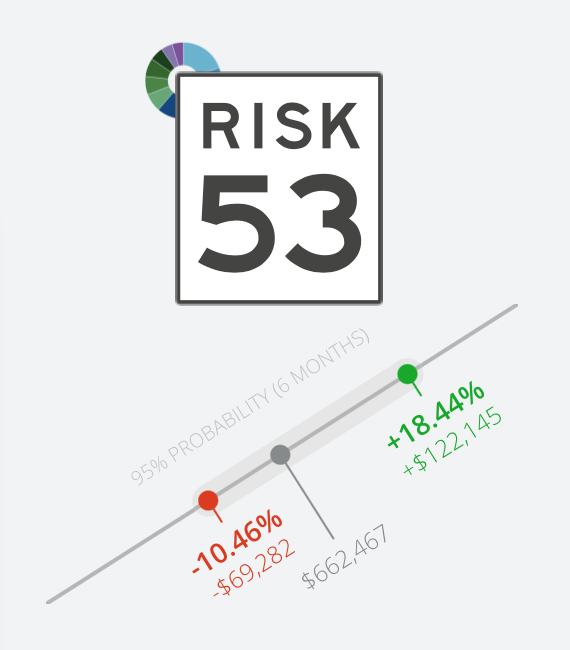 Don't make another financial decision until you uncover your own, unique risk tolerance number. This is a free (and simple) process! OK, you do need to answer a few questions like why you want to build your wealth, when you would like to retire, and how much you would like to see your wealth grow over the next six months, but it really is a piece of cake. In return for your own five minute investment, you will be provided an Investment Roadmap, complete with hypothetical investment ideas and a "stress test" to show you how your portfolio might fare under various events (like the financial crisis of 2009 or the bull run of 2013). 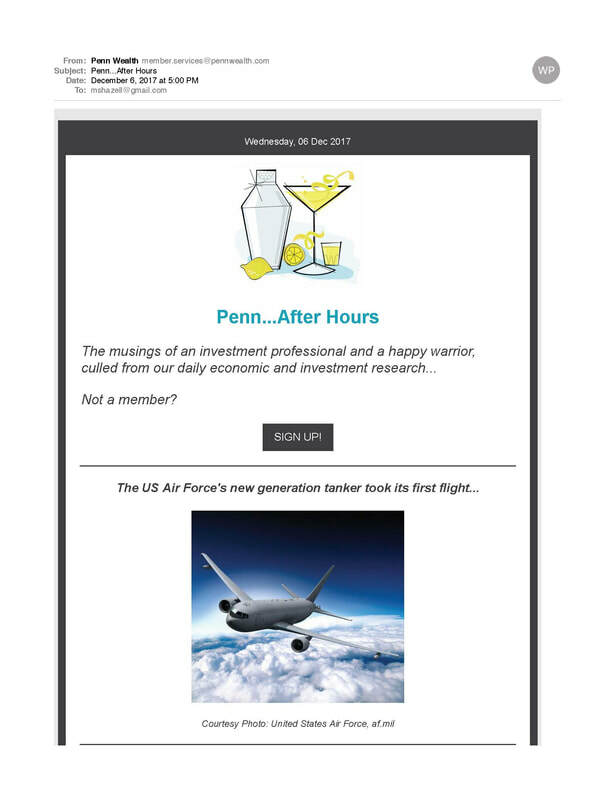 In the email, you will also be alerted to any trade activity in the Penn Strategies (with a link to the Trading Desk for Clients/Members), and a synopsis of upcoming stories in the Penn Wealth Report. We will also highlight past stories pertinent to the day's events, with links to take Clients/Members directly to the page in the archives. Signing up is easy (and free! )—just click on or select the "Sign Up Now" button! When done, click the back arrow twice to return here. *Important disclaimer: Penn Wealth Management, LLC and Penn Wealth Publishing, LLC are two separate entities. Penn Wealth Management is a registered investment advisory firm. Advisory services are offered only to clients of Penn Wealth Management who have an advisory agreement in place. This website is for informational purposes only, and is not a solicitation for the purchase of any investments. Always consult with your advisor before making any investment. For more information on Penn Wealth Management or to receive a copy of the firm's ADV Part 2, please call (913) 538-7174 or email us at client.services@pennwealth.com.